Since being founded in 1999, OneCause has provided simple ways to turn thousands of consumers' everyday purchases into much-needed contributions. OneCause promises socially-conscious consumers that they can support their chosen cause through simple shopping—and now your shopping can support FMD Chat. By signing up with OneCause and selecting FMD Chat as the cause you support, up to 20 percent of every eligible purchase will go to FMD Chat. With a OneCause Visa, FMD Chat will earn a 1 percent contribution on total spending, a $20 bonus contribution the card holder's first purchase and up to a 9 percent contribution via stores and catalogs of Visa Rewards Merchants such as Pottery Barn, Marriott, Hard Rock Cafe and Eddie Bauer. In addition, one can contribute to FMD Chat by shopping at select neighborhood stores and service providers, such as local dry cleaners, pizza shops, and hair and nail salons by using credit and debit cards registered with OneCause. To learn more and sign up for OneCause, visit onecause.com. 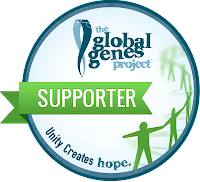 Click "Join" at the upper right of the page; fill in the required information and then choose FMD Chat as the cause you support. OneCause offers a handy toolbar to help you maximize your contributions. FMD Chat is an international, nonprofit organization dedicated to supporting those affected by fibromuscular dysplasia including patients, family members, caregivers, and healthcare professionals. Fibromuscular dysplasia (FMD) is a rare, noninflammatory, nonatherosclerotic arterial disease. 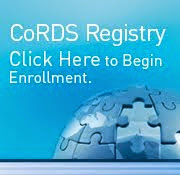 It may present at any age, but is more commonly discovered when the patient is between the ages of 20 and 60 years old. Patients may be asymptomatic and remain undiagnosed; however, the disease may cause arterial stenosis, occlusion, aneurysm, and/or dissection. FMD most commonly impacts the renal and carotid arteries, though it has been identified in almost every arterial bed. FMD is considered a rare disease. In the U.S., a disease is defined as rare if it is believed to affect fewer than 200,000 Americans, according to the National Organization of Rare Disorders. A disease or disorder is defined as rare in Europe when it affects less than 1 in 2,000. The disease, like the majority of rare diseases, has no cure. 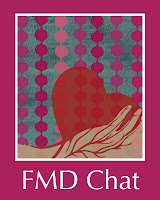 To connect with FMD Chat, visit fmdchat.org, facebook.com/fmdchat, or twitter.com/fmdchat.